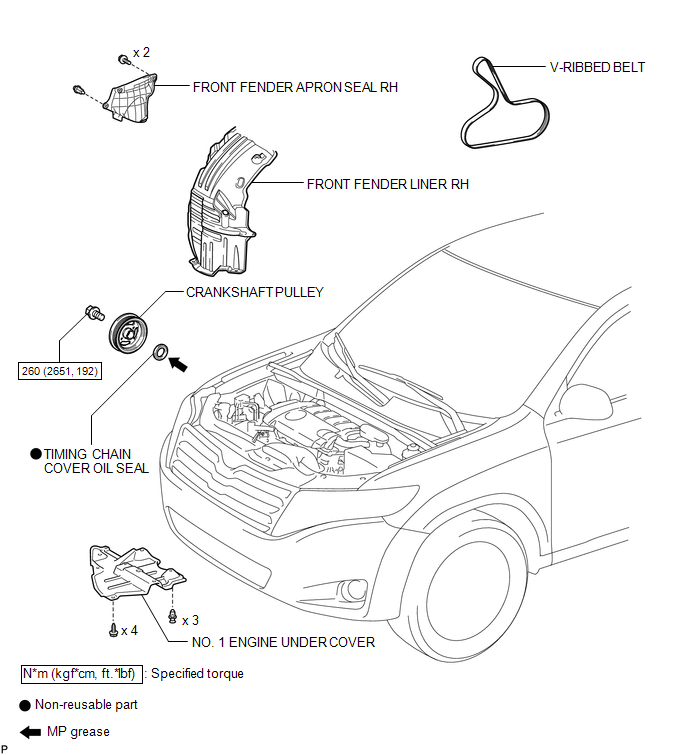 Do not damage the surface of the oil seal press fit hole or the crankshaft. 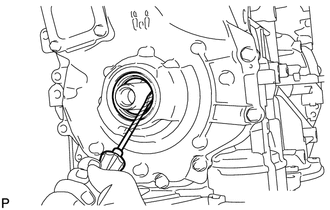 (a) Apply MP grease to the lip of a new oil seal. Do not allow foreign matter to contact the lip of the oil seal. Do not allow MP grease to contact the dust seal. 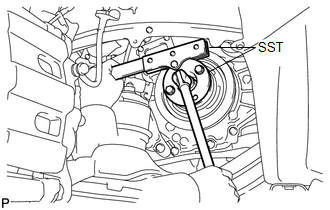 (b) Using SST and a hammer, tap in the oil seal until its surface is flush with the timing chain cover edge. Keep the lip of the oil seal free from foreign matter. Do not tap in the oil seal at an angle. 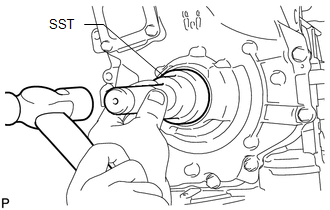 (a) Align the pulley set key with the key groove of the crankshaft pulley. 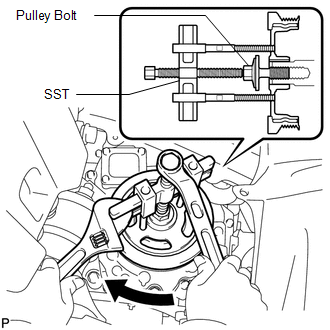 (b) Using SST, hold the crankshaft pulley and install the pulley bolt.